Do all your staff suddenly apply for annual leave when you mention stocktake? That’s because you’re not using zapMYstock. Conducting a stocktake can be difficult and time consuming. We decided that there had to be a better way, then we set out to design it. zapMYstock is a simple to use stocktake add-on that integrates with your existing MYOB AccountRight Live Plus or Premier system to reduce the burden of stocktaking by using barcodes and a portable barcode terminal. Click here to view the .PDF brochure for this product. – Reduced time to conduct a stocktake. – Eliminates data entry errors. – Improves efficiency and productivity. – Lowers labour and administration costs. – Conduct more frequent cyclic stocktakes. 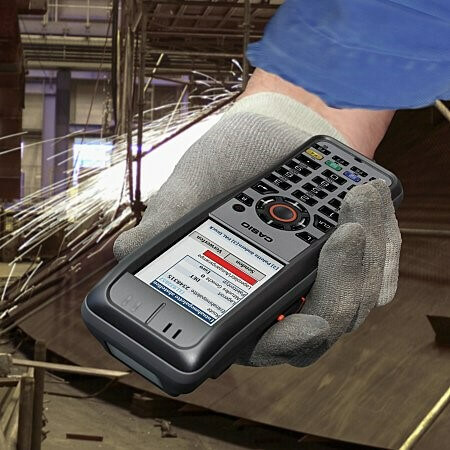 – Rugged and ergonomic barcode scanner. – Simple to use software. – Inbuilt barcode printing function. – Proudly made and supported in Australia. We offer a free, no-obligation, 30-day trial of zapMYstock for MYOB AccountRight. Please enter your details below and click on the Submit button. We will then send you an email containing the download link. You will be downloading version 1.1.0.16 of zapMYstock for MYOB AccountRight. Please enter your details below and click on the big blue Submit button at the bottom of the page. We will then send you an email containing the download link for the manual or user guide for this product.